Special damages are those fixed amounts relating to your actual losses, such as medical expenses, lost income or costs to repair your property. General damages, on the other hand, include non-monetary losses, such as “pain and suffering”, your decreased ability to perform certain functions, or the loss of a loved one. Punitive damages, sometimes called exemplary damages, are designed to punish a defendant or deter similar conduct in the future. In the American legal system, damages are intended to compensate the plaintiff sufficiently to make him or her “whole,” i.e. restore the plaintiff to the same position he or she was in prior to the accident or injury. If you mediate your dispute or otherwise settle it out of court, the parties and lawyers will negotiate each item and come to an agreement. 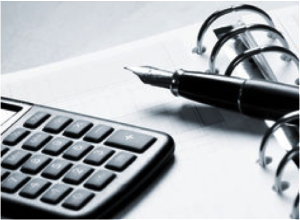 If your case is tried in a court, the judge or jury will calculate how much you are entitled to receive, based on the evidence presented at trial. A Personal Injury Attorney Can Protect Your Rights and Interests. In order to prevail in a personal injury case, you must be able to prove that your injuries were directly caused by the negligent actions of another. If you can prove that your injuries were at least partly caused by another, you may be able to receive compensation for your medical expenses, physical and emotional pain and suffering, permanent physical impairment or disfigurement, lost income, decreased earning capacity, property damage, or other economic losses. If you have been injured in an accident, you may be entitled to recover compensation from anyone else who partially caused the accident, even if the accident was partly your own fault. The legal theories of “contributory negligence” and “comparative negligence” apply in cases where the plaintiff in a lawsuit was partially responsible for his or her own injuries. “Contributory negligence” means the injured person’s actions, at least to some extent caused his or her own injuries. For example, someone who ignores a “Caution: Wet Floor” sign and subsequently slips and falls may be deemed to have been careless and, thus, at fault for his or her injuries. As such, contributory negligence can prevent the injured person from recovering any compensation, even when his or her carelessness was minor as compared to the fault of the other party. In some states, accident victims are entitled to recover compensation only if they can prove that the other party’s fault was greater. In some jurisdictions, the concept of contributory negligence has fallen out of favor and is no longer applied. Instead, it has been replaced with the concept of “comparative negligence.” Comparative negligence means that the fault for causing an accident is compared among all parties, typically broken down as a percentage of fault attributed to each party. 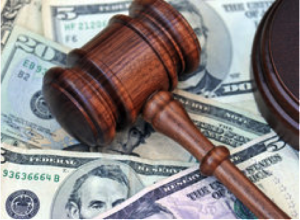 When this occurs, the monetary recovery awarded to the injured plaintiff is reduced by his or her percentage of fault. 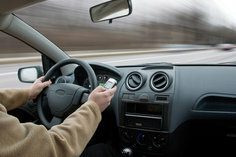 For example, if you were injured in a car accident that was determined to be 25% your fault, your monetary recovery from the other driver’s insurance company would be limited to 75% of the amount of your damages from the accident, an amount equal to that driver’s percentage of fault for causing the accident. By applying the concept of comparative negligence, each party is held accountable only for his or her percentage of fault for causing the injuries. You may be deemed to be partially at fault for your injuries if you have failed to act with reasonably prudent care under the circumstances of the accident, or if you voluntarily assume a portion of the risk by exposing yourself to danger, such as by failing to use the available restraints on an amusement park ride or ignoring a posted warning sign. The total value of your claim is based on many factors, including how easily fault can be apportioned among the parties, the seriousness of your injuries, medical treatments received and insurance coverage limits. Once the claim’s total value is established and the percentages are applied, a final figure for the injured plaintiff’s compensation can be determined. 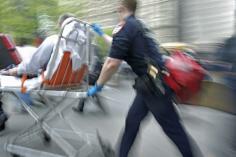 Motor vehicle collision injuries range from minor cuts and scrapes to catastrophic, life-ending trauma. Bleeding, broken bones or bruising are obvious indications that a driver or passenger has sustained an injury and needs treatment. However, there are also less-obvious injuries that are much more difficult to diagnose and treat, including myofascial injury (“whiplash”) and mild traumatic brain injury. 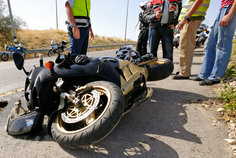 “Whiplash” is one of the most common auto accident injuries. The Insurance Institute for Highway Safety recognizes whiplash as “a range of neck injuries related to sudden distortions of the neck that commonly occur in rear-end crashes.” Specifically, this term may refer to a cervical strain, cervical sprain or hyperextension injury. Any sudden impact, even at very low speeds, can cause a whiplash injury to the ligaments, muscles and vertebrae in the neck or back, although the damage may not become apparent for several hours or days. A whiplash injury can be mild, such as a muscle strain, or more severe, including nerve or disc damage, ruptured ligaments or vertebrae fractures. Treatments for whiplash can include ice, anti-inflammatory medications (such as ibuprofen), physical therapy, chiropractic adjustments, muscle relaxants, massage therapy, or immobilization of the neck or back with a cervical collar or brace. In cases involving severe muscle or ligament damage, cervical traction or surgery may be required. Recovery time for a whiplash injury is typically between a few weeks and three months. Untreated whiplash victims can suffer lasting effects, including chronic pain, an increased susceptibility to future neck or back injuries and posture problems. Mild traumatic brain injury (MTBI) is a high-level concussion, defined by the Brain Injury Association of America as a “physical injury to the brain that causes a disruption of normal functioning.” MTBI involves a loss of consciousness or loss of memory before or after the accident. There are a wide range of MTBI injuries, from a temporary disruption of normal brain activity to permanent brain changes that affect how a person functions physically, mentally, emotionally and behaviorally. Early MTBI symptoms can include mild symptoms, such as headache, dizziness or confusion. In later stages, MTBI sufferers can face difficulty concentrating, irritability, anxiety, depression, fatigue or a quick temper. These later stage symptoms can be difficult to attribute to the auto accident because they only become apparent long after the injury was sustained. In the immediate aftermath of an accident, the body’s natural physiological responses often mask the soft-tissue injuries that can occur. But once your body has had a chance to relax, you may experience a number of symptoms related to the accident, including neck and back pain, limited range of motion, muscle spasms, headaches, dizziness, difficulty maintaining balance or equilibrium, shooting pains, muscle soreness, numbness or tingling in the extremities, emotional and behavioral disturbances, or memory and concentration difficulties. 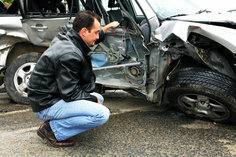 There are many potential missteps after you have been involved in an auto accident. In the minutes, hours and days following a car wreck, it can be difficult to think clearly or to take note of important factors involving liability and compensation. 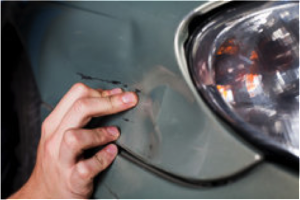 Even if your injuries are minor and your vehicle is not damaged, you should follow these guidelines to protect yourself and preserve your right to compensation for your injuries, vehicle damage or lost income. Often times, your damages are more serious than they appear at first glance. Even if you think you are clearly at fault for the accident, don’t accept blame or apologize to anyone. The police and insurance adjusters will investigate the collision and determine where the fault lies. If it lies with you, you will most certainly be notified. But affirming your guilt before all the facts are discovered can only serve to undermine your personal injury claim or a potential defense if you are on the receiving end of a lawsuit. Avoid rehashing the accident with the other involved parties. You do not want to inadvertently admit fault for the accident, or make other statements that undermine a future legal claim. Additionally, swapping stories can cause confusion in your own mind regarding what happened immediately before and during the collision. Of course, you should give your statement to the police, if applicable. But further communications regarding the accident, your injuries, damage to your vehicle, or associated expenses for medical treatment or car repairs should be limited to your attorney. Tempers can sometimes flare. People may be hurt, property may be damaged. Nobody is getting to their destination, and everyone may be concerned regarding various obligations and future travel arrangements. If other parties become upset, agitated or violent, you should simply walk away. By refusing to engage in emotional dialogue – or worse, a physical confrontation – you avoid turning a routine fender bender into a major altercation which can result in its own legal ramifications. If you think there is any reason why the insurance company may dispute your claim, you should speak with an attorney first. The attorney can advise you regarding what to say – and what not to say – to the insurance adjuster, or can communicate with the adjuster on your behalf. Insurance companies train their adjusters to ask specific questions designed to make your case look as weak as possible. Your insurance company should help you when you’ve been involved in an accident – that’s part of what you pay for – but ultimately the bottom line is of primary importance. The insurance business is far more profitable when the insurance companies do not have to pay out claims. If you have been injured in an automobile collision, your attorney may require the assistance of an experienced accident expert to help prove who is at fault for the accident. Generally, in order to recover any compensation for your injuries or property damage, you will have to prove that the other party was somehow negligent. Accident reconstruction experts are professionals who have obtained specialized training in order to analyze the physics of the accident scene, determine vehicle speeds and movements, and effectively communicate their findings to the court or insurance company representatives. These professionals come from a variety of backgrounds, including science education, engineering, or law enforcement who have undertaken special training. These experts can evaluate the scene of the accident, develop calculations and assessments regarding how the accident occurred or how damages were sustained, and can testify to these facts and findings before a judge or jury. They do so by offering a variety of services, including site visits to the scene of the accident, taking photos, interviewing witnesses, applying the applicable scientific principles and preparing a final report. That report often forms basis for the expert’s testimony in court. Generally, the importance of the accident reconstructionist’s testimony is directly tied to the complexity or controversial nature of the accident in question. Expert testimony regarding how an accident occurred is key to settlement negotiations. Using illustrations, simulations, models, animations and other methods, accident reconstructionists can show exactly what happened, how it happened, and how it could have been prevented. Even if there are photographs of crash scenes and medical records, these can usually demonstrate the severity of the accident or damages sustained rather than proving who was at fault. Usually, both sides hire their own reconstruction experts and, not surprisingly, those reports often conflict with one another. When this happens, the experts’ credibility becomes a key issue. As in every case where there is conflicting testimony, the decision-makers must make a determination regarding which expert to believe.